As thoughts move to Christmas, and what promises to be an excellent Blackheath Village Day on 6th December, it’s worth just pausing to recall what was undoubtedly one of the most important village events this year – yes, OnBlackheath. For those not lucky enough to be there, here’s our blow-by-blow account. Now the dust has settled, we Radicals remain convinced the event was a great success and look forward to future offerings (though how anything will top Grace Jones and her hula-hoop is difficult to imagine…). Not everyone agrees of course but insofar as we can tell, the broad consensus seems to be relatively favourable to OnBlackheath – and seems to have become more favourable following the event itself. Here we provide to bits of feedback: (1) the Blackheath Society survey results – and our take on them; and (2) a read-out of the post-event public meeting held at the Greenwich Hotel on 6th November. The Revolt was very pleased to promote the survey and welcomed the fact that the Society had taken the trouble to conduct it and then analyse and present the results. Though we may differ with the Society over the merits of the event, it’s hard not to agree that finding out what locals thought about it was a good thing to do. There’s no single headline conclusion from the survey, which rewards a careful reading, but for we Radicals perhaps the most telling result is that for all categories of respondant (‘All’, ‘Local’ and ‘Closest’) preceptions of the event improved – i.e. became more positive – after it had happened. In other words, the worst fears of some were not in fact realised. The extent of this shift ranges from a 14% improvement (for ‘All’) to a 6% improvement (for ‘Closest’). there were 641 valid responses – it would be useful to know how many non-valid responses there were and the reasons they were not valid. without wishing to be churlish it’s probably fair to say that results in the section on the pre-event public meeting and how informative this was are somewhat misleadingly presented. Only 38 respondents attended the public meeting – some 5.9%. But of these 31 found it informative. The survey presents this as 4.8% of respondents finding the meeting informative but it’s clearly unfair to use the total number of respondents as the denominator in this comparison – because how could those not at the meeting possibly be expected to find it informative? Surely the fair comparsion is that 31 out of 38 people who attended it found the public meeting informative – that is, 82%. it’s striking that over half of respondents rated the behaviour of those at the event as ’10’ (the highest, positive, score). This is in stark contrast to the wild comments from some about what attendees would do, with talk of people being drunk, sick “and worse” in their front gardens (read our comments pages for more like this). and it does seem a bit unrepresentative to highlight in a survey of over 600 the comments of a ‘couple’ of people about “agressive guarding” – this couldn’t be further from the truth in our experience nor, if the Tweets on the day are anything to go by, the bulk of people there. To reiterate – we Radicals welcome the survey and applaude the Blackheath Society for taking the effort to run it. The comments above simply represent our observations having considered the survey findings in detail. We’re grateful to two friends of the Revolt who were able to attend the meeting and provide the following read-out. For a write-up of the pre-event public meeting click here. The meeting opened with On Blackheath representatives outlining the positive feedback they had received from Lewisham Council and other stakeholders about the event and they were pleased to report there had been no arrests. The weather had been good and the heath was left in a very similar condition to how it was found (there were contingency plans to cover the ground in case of bad weather). The vast majority of visitors were local and used public transport and there did not seem to have been any problems with parking in the vicinity. There were however two problems. 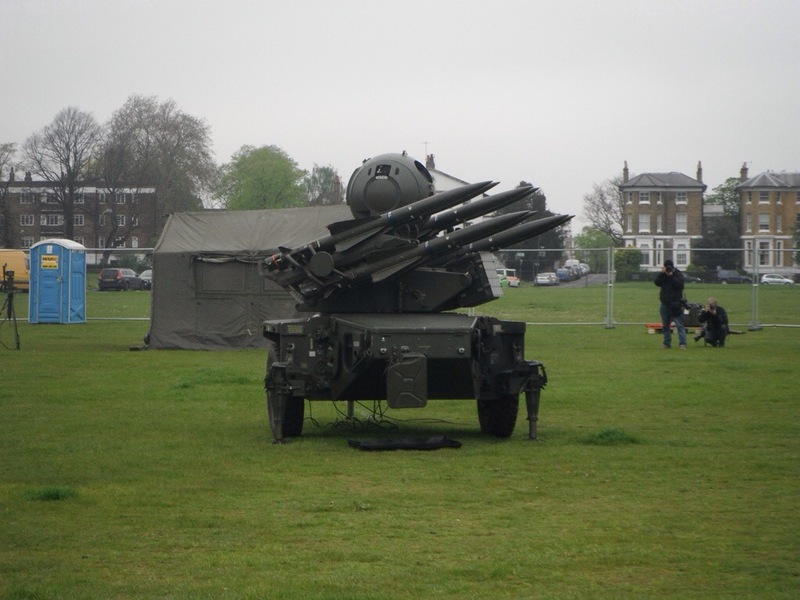 Firstly, although the noise volume of the event was within the licence limit, there had been problems with the second stage where the speakers were facing Hare and Billet Road and these made an excessive amount of noise for residents in the line of the sound waves. The “sound map” of the event did not take this in to accounts. There were calls from residents regarding this on both days. The second recognised problem was the lateness in disseminating information to the local community, especially the shuttle bus. 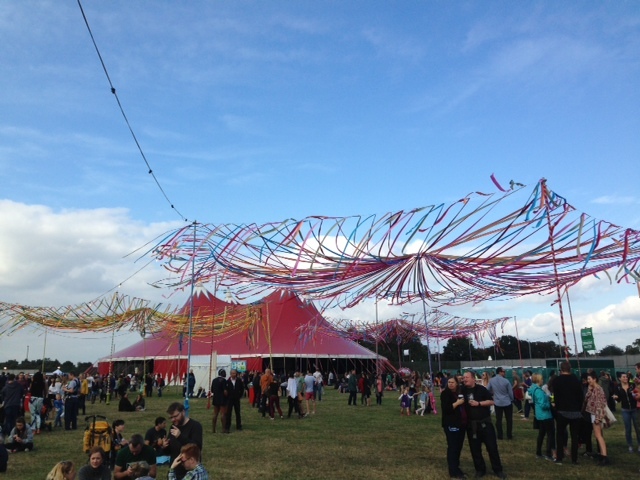 On Blackheath said that both these points would be rectified for future festivals. There followed a question and answer session chaired by Kevin Bonavia. The discussion often veered away from On Blackheath to more general concerns about the use of the heath in future. This is suggestive of the fact that On Blackheath did not cause the prophesied problems. There were question about relocating On Blackheath to a different part of the heath, there were various points raised, but it seemed to boil down to the fact that after several years of getting to a position where On Blackheath could hold their festival they were disinclined to make any changes that could lead to objections and a further set of delays. It was also stated that a two day event was necessary to recoup the cost of the infrastructure and five days needed to set up due to health and safety; this would necessitate the closing the Hare and Billet Road and removal of width restrictors near the Hare and Billet (seemingly to some this is much akin to opening the gates of Hell). There has also been an application from the Jimmy Mizen Foundation, although they have obtained a licence from Lewisham council, further consultations are needed. There appeared to be no legal limit to the number of events that could be held, although there are numerous hoops that any potential show would have to jump through. The most likely prospect on the horizon would be On Blackheath and a Jimmy Mizen show in the same year, but on different parts of the heath. Following on from this there was some debate as to whether Lewisham council sees the heath as a revenue generating opportunity. It was suggested that there is more appetite for live music (fed by the change in how record companies make money), and the somewhat ambiguous statement that the heath is to be managed for the benefit of the public. It was put forward that the heath has not been used for commercial events in the past, although the circus and funfair give a counterpoint to this – at least in principal if not in scale. The meeting went on past time, and the representatives of the Revolt by this time had a gnawing hunger so departed to one of the fine dining establishments in Greenwich. We took from the meeting that On Blackheath had been a success for the organisers and they would be pushing for more of the same next year (with application for the full 25,000 attendees allowed by the licence); some fellow residents had suffered some discomfort and inconvenience, but On Blackheath took these concerns seriously and aimed to address them as best they could. 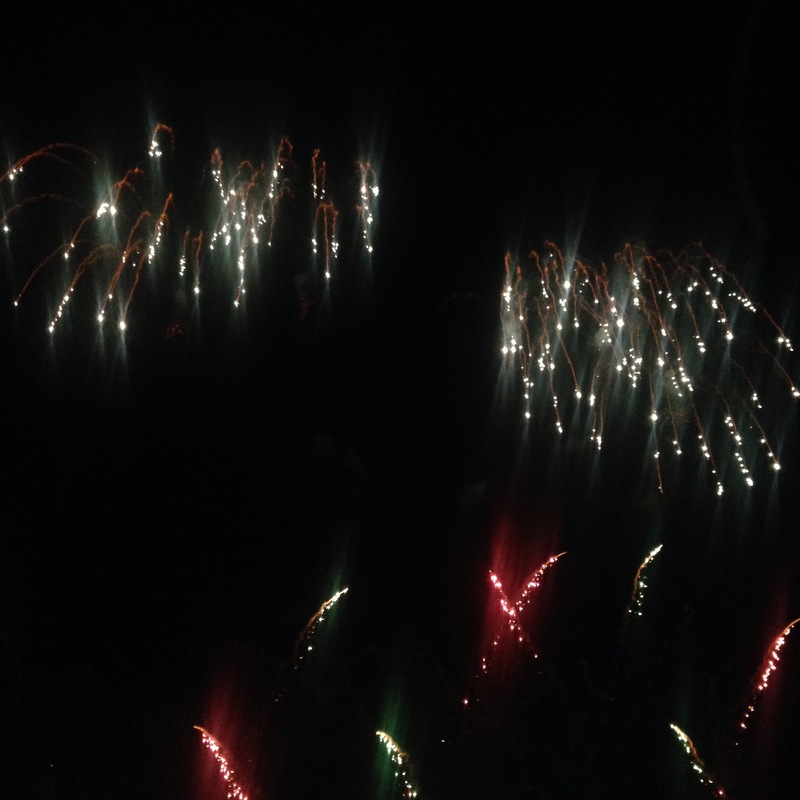 The weather may have been unseasonably mild but the Blackheath fireworks were as good as always. For us the real highlight of each year’s show is to see the village full of people, bars and restaurants packed and business booming. There’s also something strangely thrilling about being able to work up the middle of the Tranquil Vale free of traffic. – the final segment was pretty spectacular made all the more exciting for the fact that there was a brief pause beforehand which only served to build the anticipation (and to those of you who left thinking it had ended already, shame on you! We Radicals held firm). – the music was a welcome addition and generally worked well, though it could probably have been even louder and under no circumstances should Coldplay ever be used again! It’d be fantastic to hear some classical music accompany the show next year. – not really a highlight but it has to be said that the attempts by the women on the public announce system to warm up the crowd before the show lacked, erm, sparkle. – the band playing outside the Crown afterwards were excellent – anyone know who they were? And of course thanks are due to the volunteers, sponsors, the local police team (and those from further afield who came in to help) and Lewisham Council for making it happen. It seemed like there was a veritable army of stewards there this year – are thrre normally so many? One reflection after the event: each year the fireworks see, apparently, around 80,000 people descend on the village for an unticketed event that lasts about 30 minutes start to finish – with many arriving just before and attempting to leave just after. Rightly this event is supported by the Blackheath Society, and others, who do a great job raising money for it. Compare this to the opposition, including from the Blackheath Society, to the OnBlackheath concert. A ticketed event attended by around 25,000 people, mostly families, across two days which was well stewarded and could not have been more careful about litter and the like (there are never anywhere near enough bins at the fireworks). When you add to this the fact that there is normally a fair ground in town for the fireworks display (which it has to be said is pretty awful) then the contrasting attitudes to the two events is as confusing as it is capricious. It will be interesting to hear what the reaction is to OnBlackheath at the post event public meeting this Thursday (6th November at the Greenwich Hotel). If the pre event meeting is anything to go by there could well be fireworks! Look out for our report. 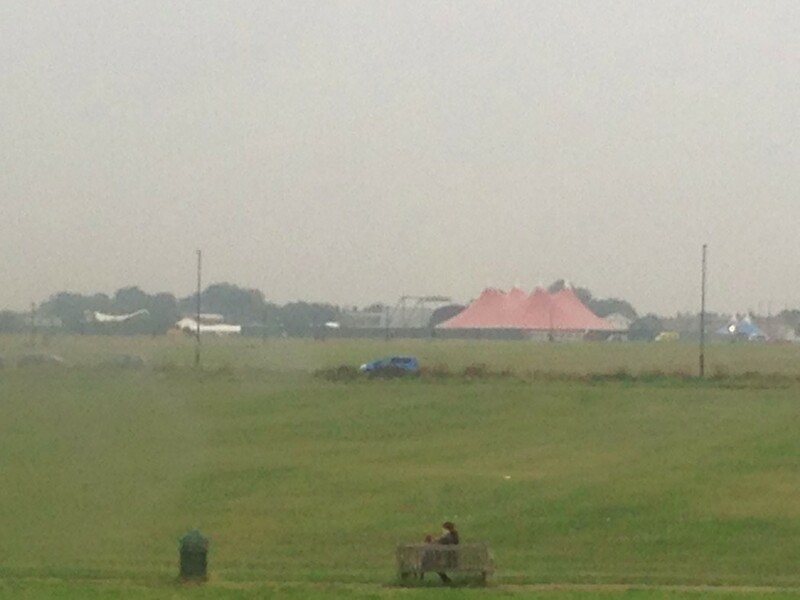 After what seems like an age the OnBlackheath music and food festival is finally about to happen – you’ve no doubt noticed the tents and stage that have gone up this week. We Radicals are very excited and shall be there on both days jigging away with the best of them (if jigging is the right term for such events (it’s not. Ed.)). It’s highly likely we will spend a good deal of time in the food village and plan to take lunch on Sunday with Gizzi Erskine. And the late announcement that Jarvis Coker will be there is particularly exciting and pretty much doubles now the proportion of performers we’ve actualy heard of! So, to all those planning to go we hope you have a great time (and are not too disturbed by the sight of two malcoordinated figures ‘jigging’ insensibly). And to fellow residents who are not attending we really do hope the event is not as disruptive as we know many fear. With that in mind, the Blackheath Society have asked to publicise a survey that they are carrying out on the impact of the event. The survey opens on Sunday once the festival is finished, at which point it will also appear on the Blackheath Society’s website (www.blackheath.org) and will be open until the end of the month (responses after this or before it opens will not count). Respondents can answer as many of the questions as they wish but must include their full postcode. The Society’s intention is to feed the findings into Lewisham Council’s planned post event evaluation. We actually think this is a very useful and positive thing for the Society to be doing. Clearly the more responses the more rounded and representative the results will be so please do consider completing it. Right, back to festival preparations; as the weather forecast is pretty decent the wellington boots may not be necessary but the glow sticks are ready and waiting. Whoop whoop!